Home pregnancy test kits have made it possible for women to check whether they are pregnant or not simply by taking the test in the comfort of their very own home. In doing so, they can check first whether they have possibly conceived before heading to the hospital for a second test. Home pregnancy tests have the same principle of detecting the hormone human chorionic gonadotropin (HCG) levels in a woman’s body which pass through the urine. This hormone becomes present in the body only when a woman conceives which is why home pregnancy test kits detect this type of hormone. The HCG levels in a woman’s body increase greatly during the first few weeks of a woman’s pregnancy which is why it is advised by pregnancy test kit manufacturers that women take their tests after actually missing a period to achieve better results. Taking a pregnancy test after actually missing a period can guarantee that the HCG levels present in the body has increased greatly and can then be easily detected by the test. Home pregnancy test kits come in three forms: cassette test, dipstick test, and midstream test. Dipstick tests require you to dip the test strip in a cup of urine for a specified amount of time; cassette tests will often tell you to place 2-3 drops of urine in the indicated area; while midstream test should be held in a steady flow of urine for 5 seconds. After the specified amount of time for the test to check the presence of HCG in the urine, you can read your results. Most pregnancy tests have lines that will show your results. One line is for the control test while the second line will appear when HCG is present in the urine. The control line will appear whether or not you are pregnant and is meant to ensure that the test is working. Other forms of pregnancy test will have a control window and a test window. The test window will either reveal a plus sign for a positive pregnancy and a negative sign for a negative pregnancy. Whether your home pregnancy test kit uses lines or a plus sign to determine pregnancy, it is important that you reach the instructions carefully before you proceed with the test. What Does a Faint Second Line Mean? There are incidences when women who take a pregnancy test at home will see a very faint second line. This can lead to them to wonder whether they did get a positive result or not. In cases that a faint second line occurs, it is important to take note whether the instructions on the kit were followed closely. If the instructions were followed carefully, then even a faint second line will mean a positive pregnancy result. Generally, a pregnancy test will detect the presence of the HCG in the urine and the second line will show up if this type of hormone is present. If you received a faint second line or positive indicator on your pregnancy test, it is advisable that you take a second pregnancy test after a day or two to let the HCG levels in your body increase. What are the Possible Reasons for a Faint Second Line? Home pregnancy test kits have instructions on when you can take the test to get the best results. The reason why inaccurate results or faint lines may occur when taking pregnancy tests is by taking them too early. When you take the pregnancy test too early, the HCG levels in your body may still be too low to be clearly detected by a test. During the first weeks of pregnancy, the HCG in the body increases greatly every two days which is why pregnancy tests advise women to do their testing close to their expected period date or after they have actually missed a period. Doing so will ensure better test results since the HCG in the body has already increased to a certain level that can be easily detected by a home pregnancy test kit. While the HCG in a woman’s body is always present and can be detected in the urine all throughout the pregnancy, there are instances when taking pregnancy tests may result in a faint line even after you have actually missed your period. A possible cause for this is diluted urine especially if you drank a huge amount of water before taking the test. While pregnancy tests can detect the HCG in the urine at any time of the day, most pregnancy test kit manufacturers still advise women to take the test early in the morning, specifically their first urine after waking up. The reason for this is that the first urine of the day is more concentrated and contains more HCG. In the excitement of checking for a possible pregnancy, women often forget to check for the expiry date indicated on the packaging of a home pregnancy test kit. Expired pregnancy test kits may work inaccurately and yield incorrect results. This is why it is important that you should first check for the expiry date of your pregnancy test kit to get accurate results. Pregnancy test kits have different levels of sensitivity in detecting urine. When checking the boxes and labels of pregnancy tests, it is important to note not only how soon they can detect pregnancy but also how sensitive they are. Some pregnancy tests require at least 100 mIU for it to be able to detect the HCG levels present in the urine while some others are sensitive enough to detect HCG levels for as low as 20 mIU. A chemical pregnancy is an early miscarriage that occurs in the earliest stage of a pregnancy. An egg may be fertilized but different possibilities may have prevented it from carrying on with the pregnancy. Cases like the egg failing to implant fully in the uterus, infections, or chromosomal abnormality may cause chemical pregnancies. 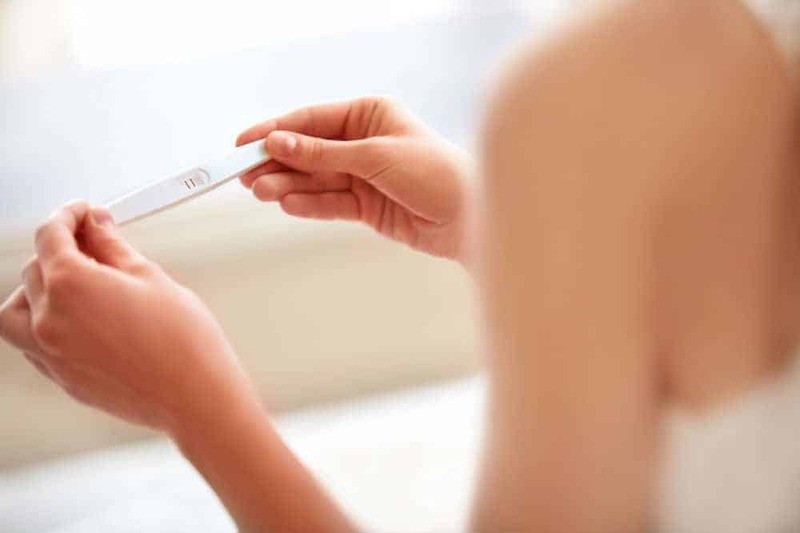 Since chemical pregnancies are still pregnancies in the sense that an egg is fertilized, HCG can be present and be detected by a home pregnancy test kit.